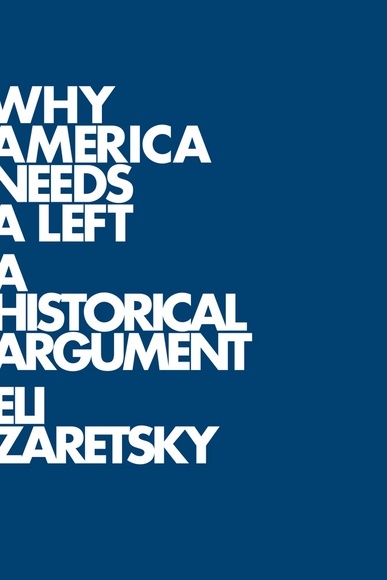 Why America Needs a Left: A Historical Argument, Eli Zaretsky, Polity, $19.95. Eli Zaretsky’s Why America Needs a Left is a call to action to the young idealists of America in today’s crisis-ridden world. Traveling back into the history of America’s Left, Zaretsky argues that the Left is especially important in times of crisis, when the country’s identity must be redefined. Specifically, he cites the American Left’s role in defining the abolition of slavery in terms of racial equality and the New Deal in terms of social equality. At both points in America’s history, the country faced serious problems eventually leading to the Civil War and the Great Depression, respectively. Today, the US, like the rest of the world, faces another major crisis, the global financial crisis. According to Zaretsky, today’s problems are the result of neoliberal policies that began in the 1970s as a backlash to the counterculture of the 1960s. As inequality in the US continues to grow, Zaretsky calls upon the New Left, which formed in the 1960s, to rise again in order to help the country define a new identity based, once again, on equality. Disappointed with the failure of Barack Obama’s presidency to revive the Left, Zaretsky places his hopes on Occupy Wall Street. Whether this movement will bring about the return of the Left to American politics is yet to be seen. But in an increasingly globalized world still largely run by a single superpower, the revival of equality in American political discourse could help to decrease economic disparities. Why America Needs a Left is an interesting look into American history, which sheds light on contemporary problems and their possible solutions.